Over the years the Hall has been refurbished with a new floor, kitchen and toilets being completed in 2005. Recently, with the substantial aid of the Heritage Lottery Fund, other companies and hard and selfless work by many villagers, necessary internal, structural and external work has been completed. This has left the village with a sound and attractive venue enjoyed by many village and external organisations. It has a roomy and modern kitchen and recently a piece of adjacent land has been kindly donated at the rear which allows the enjoyment of outdoor events. Regular traditional Village events are held through out the year. 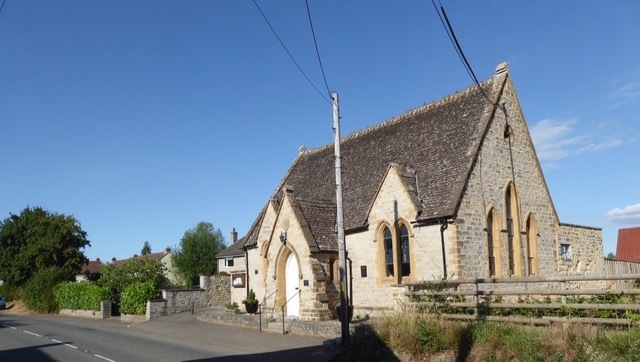 The Hall is used by a variety of groups clubs and meetings and is valued as a village asset as it is the only public building in the village. There is wheel chair access. Rates: The rates for hiring the hall for non-residents are £14 per session which is a whole morning, afternoon or evening. The hall can also be booked at a cost of £3 per hour. Residents are entitled to a discount of 50 per cent. The latest information on the Slinky Bus Service is attached. In brief it says that half-price fares are under consideration for concessionary bus passengers and requests comment prior to the meeting in early December. These are affiliated to the National Society of Allotments and Leisure Gardeners Ltd and the landlord is Long Load Parish Council. They are to be found in Church Lane, Long Load.